Unwind during this Memorial Day Weekend and reflect on your positives in life--friends, family and loved ones, while honoring those who lost their lives for our protection. 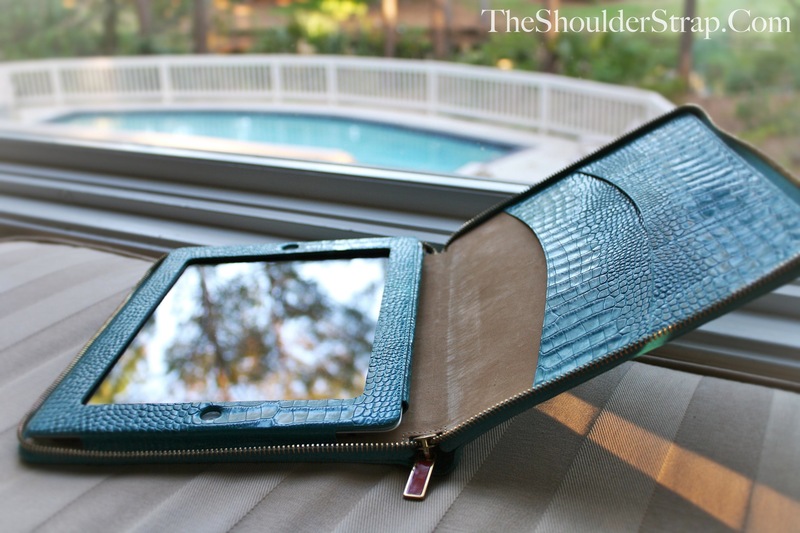 Whether you're reading an insightful novel or just a newspaper about Memorial Day events, it's important to have a great case for your iPad--one that is both sturdy and fashionable, of course. Back in February, I was perusing my Facebook mini-feed, and a picture of this beautiful iPad case caught my attention. 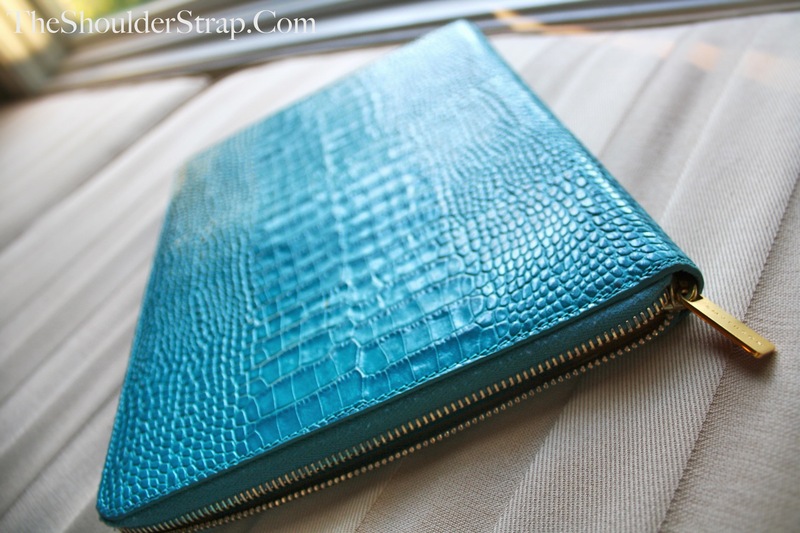 Barney's New York had a great post on their Facebook fan page about this Smythson iPad case. New for Spring/Summer 2012 is the Turquoise Collection. Also fitting the new iPad (iPad 3) and iPad 2, this case is both compatible and provides great protection for your device. The case comes with pockets to easily stash pieces of paper, business cards and even comes with a handy cleaning cloth for your screen. The golden zipper gives a nice contrast--especially with its coral accent. Whenever I saw this case, I imagined myself using it by the pool or while traveling during the summer. This surely is one of my most favorite fashion + technology pieces. 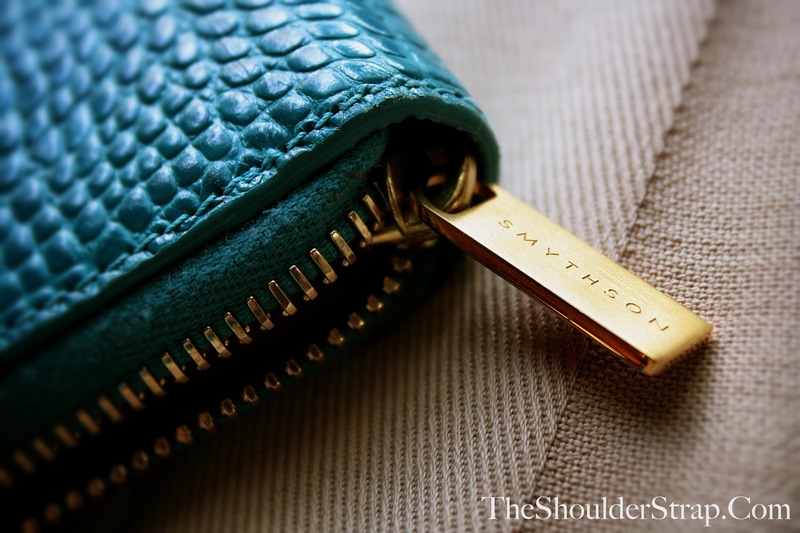 If ordered online from Smythson, you are able to personalize the case with your initials. Learn more about Smythson here. What's your favorite iPad case?